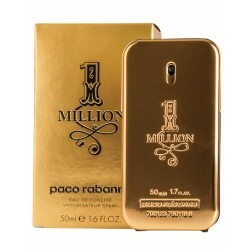 Send perfume and cologne gifts throughout South Africa at affordable prices! Choose from a range of the world’s most prestigious perfumes for men and woman, and have them delivered the very next day anywhere in South Africa. We are donating R5.00 from every order to charity. Click "learn more" to see which charities we support. As a client, i know feedback is always appreciated, and "bravo zulu" is SA Navy lingo for "well done", i quickly checked with the two ladies (couldn't stand the suspense), and they were pleasantly surprised, thank you once again for excellent service and "bereidwilligheid" (for going the extra mile), and i will make use of your services in the near future. Website by inMotion Graphics. Copyright © 2009–2019 inMotion Flowers. The Sunflower Fund educates and recruits bone marrow stem cell donors onto the South African Bone Marrow Registry in order to save the lives of patients suffering with life threatening blood disorders like leukaemia. Help protect future generations by giving patients hope for a longer and healthier life.